I just returned from a terrific four day weekend motorcycling around the "Top of the Rockies" in Colorado. I can't remember the last time I had such a good time! A member of the Motorcycle Club invited club members to spend a weekend at a Condominium in Breckenridge that he has access too. Those who didn't go missed out on a fun weekend. We started our trip Friday morning from Cheesman Park in central Denver and proceeded west on Interstate 70 to the Frisco exit then south to Breckenridge. We unloaded our gear at the condominium, ate a Power Bar, drank some water then headed back out. This excursion took us through historic Leadville Colorado, around picturesque Turquoise Lake, over Tennessee Pass to Red Cliff Colorado. After a short rest in Red Cliff we continued north through Minturn to I70, back to Frisco and Breckenridge. There is a historic picturesque bridge just outside of Red Cliff unfortunately there wasn't a place to pull off and take a picture. Except for loosing my water bottle, when I hit a bumpy spot in the road, this was a wonderful tour. We stocked the refrigerator with groceries then fixed burritos for supper. I ate 2 extra large burritos and drank 2 beers. This may explain why I woke up at 3AM. We ate a huge spaghetti dinner for supper Saturday night. We were also fortunate enough to be in Breckenridge on the night of their 150th celebration and were treated to a great fireworks display! Breckenridge is 150 years old. 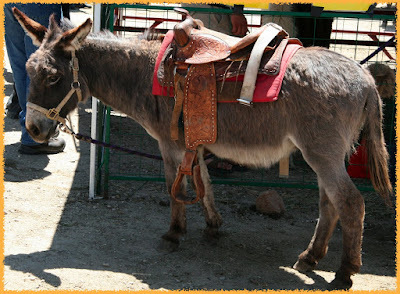 Sunday we were back in Leadville for the Leadville "Boom Days" Celebration and annual Burro races. Leadville Colorado, steeped in history and draped in beauty, is truly a magical place. I will seriously consider retiring in Leadville. Pot-roast, potatoes and veggies for supper. Monday morning we set about cleaning the Condo, doing laundry and re-making the beds. After setting the Condo right and packing our gear we headed out. We took Swan Mountain road over to Keystone where we joined old US6. US6 took us past Arapahoe Basin and over Loveland Pass to the Loveland Ski area where US6 re-joins Interstate 70. We stopped at the top of Loveland Pass and took pictures. This excellent weekend came to a close as we rode back into Denver. We waved good-bye as we each went our separate way. Total mileage was 455 miles. Some might shrug off a weekend like this as "no big deal" but for me it was. Many things came together to make this a memorable and enjoyable weekend. I haven't actually taken a vacation in many years. My parents use to have a summer home in Wyoming - set back amongst the Pine Trees next to a flowing creek - but the family had to sell that special place when Dad died. This was a "mini" vacation - not too long but not too short. There was also the joy of Motorcycling and going someplace I've never been before but more importantly it was relaxing and recreating with good friends and good food. I spotted this Praying Mantis outside the office this morning. It was between 4 and 5 inches long.